The animal-exploitation industries and their political representatives place their hope in keeping the animal-protection community divided against itself. Such division holds the key to these industries’ survival. Here is a modern adaptation of Ben Franklin’s famous “Join or Die” woodcut (1754)—often regarded as the U.S.’s first political cartoon—which addressed an analogous political situation. Its depiction of a “chopped-up” animal is doubly relevant in the present context. 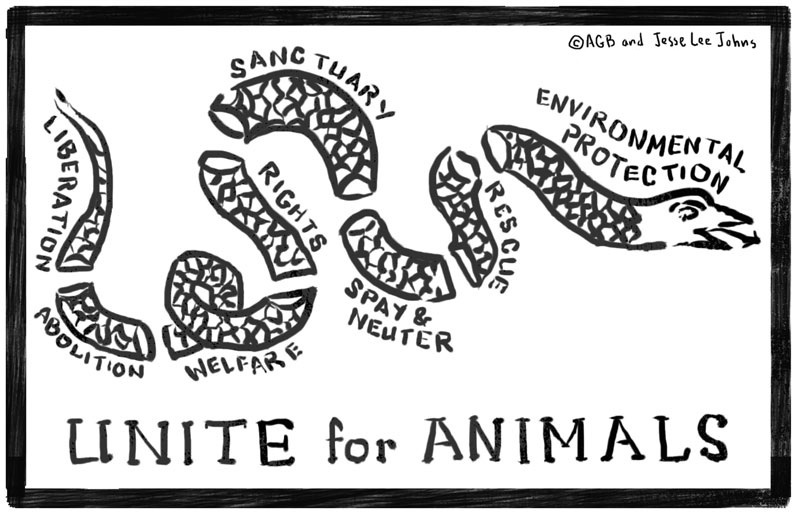 Let’s unite for animals and end the animal-exploitation industries forever.